Yokohama improved the road contact properties of the Geolandar A/T G015 265/65 R17 shoulder and lug grooves. 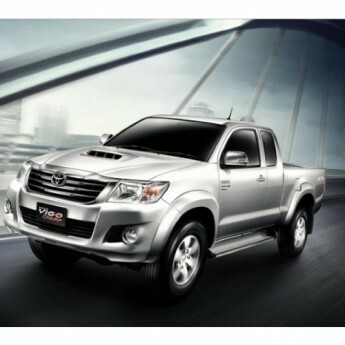 This guarantees exceptional adhesion in off-road driving. 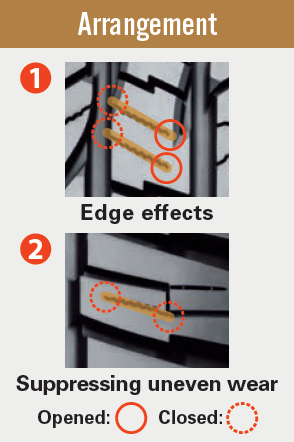 Enhancing the shape of the whole grounded part of the tread also improves wear resistance. 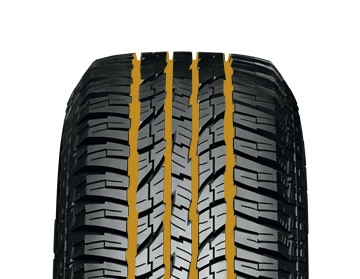 The design of the Geolandar A/T G015 265/65 R17 shoulder section has been completely redesigned. In addition to improving the tyre's follow-up durability, the look of tyre gives an aggressive feel. Water evacuation has been significantly improved with its four wide and straight grooves. These grooves provide excellent maneuverability and anti-aquaplaning qualities on wet surfaces. The lug grooves of Geolandar G015 265/65 R17 get narrower as they reach the center section and gradually get wider as they approach the grounded portion of the shoulder. 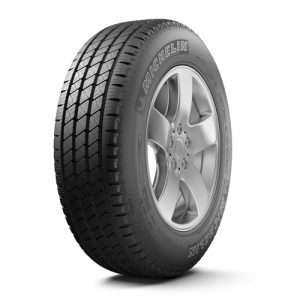 This enhances tyre’s performance on off-road surfaces for greater traction. 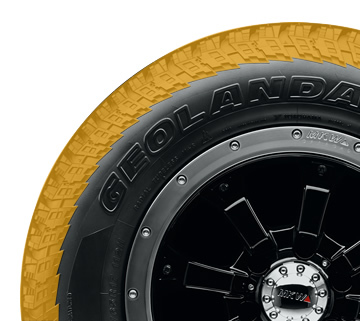 The compound used in Geolandar A/T G015 265/65 R17 is exclusively prepared. It is highly wear resistant and resistant to temperature variations in extreme weather conditions. Better Durability and Longer Life. Exceptional Wet Grip and Off-Road Traction. 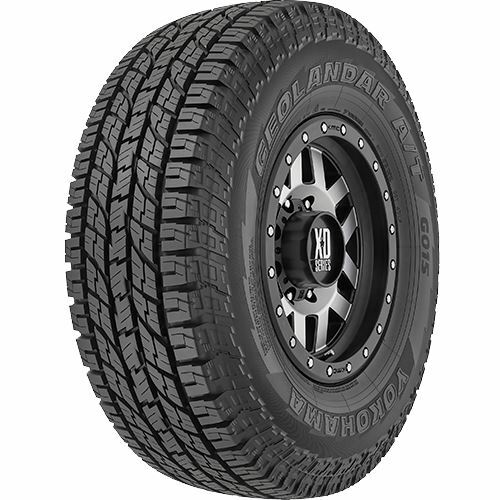 Geolandar A/T G015 265/65 R17 employs uniquely designed 3-D sipes. 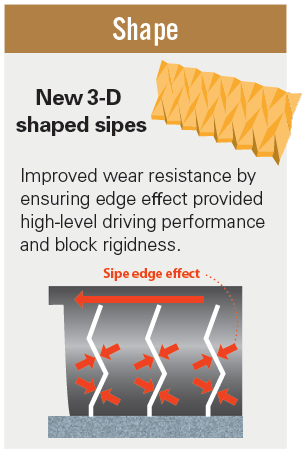 The sipes, which are designed int a three-tier pyramid, override breakdown of the tyre tread block. This helps in exceptional stiffness on dry surfaces and excellent edge effects on wet surfaces. Yokohama improved the road contact properties of the tyre’s shoulder and lug grooves. This guarantees exceptional adhesion in off-road driving. 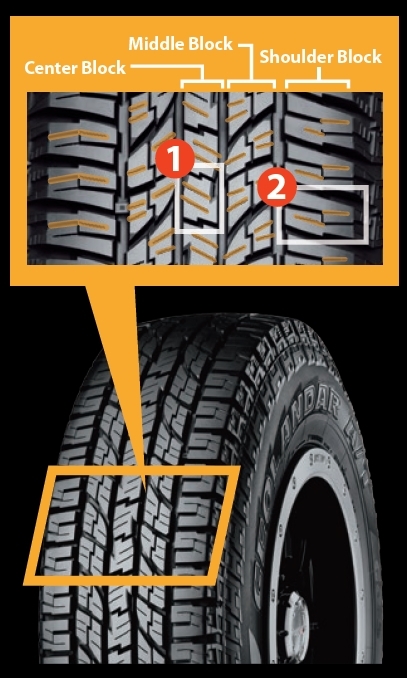 Enhancing the shape of the whole grounded part of the tread also improves wear resistance. 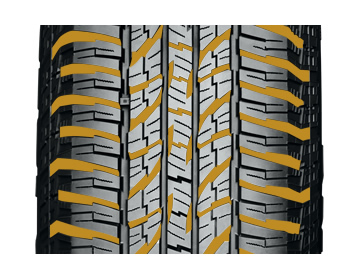 （B）The grounded portion of the tread center is long and the shoulder portion is shorter. （C）The grounded portion of the tread center is shorter hence the road contract of the lug groove section of the shoulder is much better. The design of the shoulder section has been completely redesigned. In addition to improving the tyre's follow-up durability, the look of tyre gives an aggressive feel. Compound used in Geolandar A/T G015 265/65 R17 is exclusively prepared. It is highly wear resistant and resistant to temperature variations in extreme weather conditions. 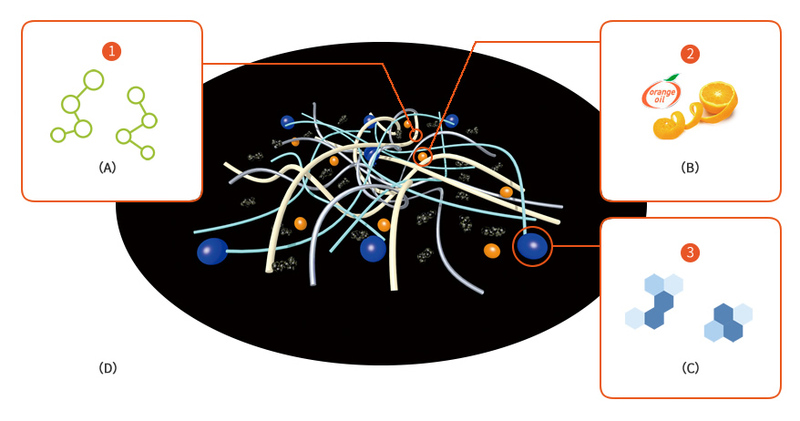 A: The compound is a composed of three types of polymer with relevant functions. All the compound capabilities have been improved. Such as resistance to cuts and chipping, flexibility in low temperatures and wear resistance. B: Blending in Orange Oil made it possible to have a flexible compound at the micro level. This enhances tracking performance over tiny undulations in the road surface as well as improving grip strength on wet and dry roads. C: Silica, which improves performance especially in the wet, it is critical that particles inside the compound are spread evenly. Hence silica is dispersed through Yokohama’s unique compounding technology. 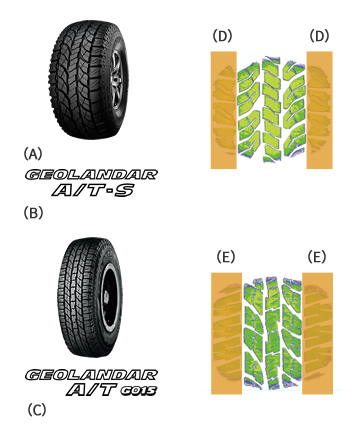 Geolandar A/T G015 265/65 R17 employs pitch sequence of differing size instead of having uniform block pitch in a circumferential direction. And the frequency of this pitch is dispersed which helps in reducing pattern noise. Apart from the noise it also reduces the burden on the block, which contributes to a reduction in uneven & irregular wear. Yokohama Geolandar A/T G015 265/65 R17 is Original Equipment sized Tyre for Toyota Fortuner 2013 - 2017, Toyota Hilux Revo, Toyota Prado 2003 - 2011, Toyota Vigo Thai. What does 265/65 R17 mean? 265/65 R17 is the tyre size. 265 is the maximum width of the tyre in milimetres(mm). When the vehicle is fully loaded its width can expand maximum upto 265 milimetres(mm). 65 is the ratio among width and height of the tyre from the its rim. it means that the height of the tyre is precisely 65% of the 265mm. Lower ratio improves road grip, but it reduces comfort to some extent. R – represents to the method the tyre is produced. The letter "R" is found on all modern cars. 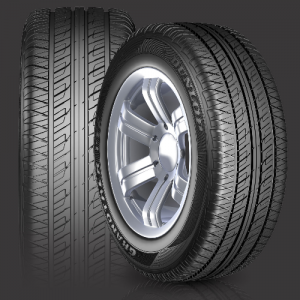 It indicates the radial structure of tyre cosntructed with steel wires. 17 represents the diameter of the rim. It is a measurement in inches("). This number should be rememberd as it is the measurement of the rims. It has to match exactly to what is mentioned in the car manual. This particular tyre is with the size of 265/65 R17. 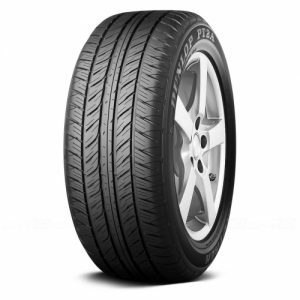 Yokohama Geolandar A/T G015 265/65 R17 tyre is Premium tyre in Tyres classification. Yokohama Geolandar A/T G015 265/65 R17 provides New Technology & Maximum Performance. The tyre is available in sizes from 15 to 16 inches at all our Tyre Point Outlets across Pakistan. 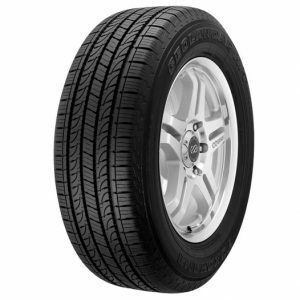 Yokohama Geolandar A/T G015 265/65 R17 has a speed index of H. You can drive on this tyre at a maximum speed of 210 KM/H. The load index of this tyre is 112. This tyre can carry a maximum load upto 1120 Kgs. 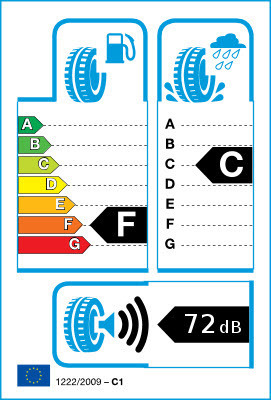 The labeling of the tire as per EU labeling standard. 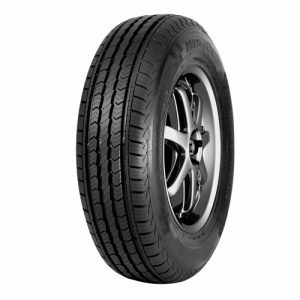 This tire has rolling resistance of class F , Wet Grip class is C, and noise level is 72 db.